Are Air Fresheners Toxic? Are they Linked to Cancer? The cans sure promise a lot. Just one spray will transport you straight to a citrus grove. And then there are the commercials. Like the woman leaping through a lemon orchard or the lady simply standing in her living room breathing in the heavenly scent as a choir sings angelically in the background. And I’ll admit it. The bright fresh scent of a lemon or citrus-based air freshener certainly seems like a great way to “clean” the air in your home. But what if the can were marked “embalming fluid” instead? I bet it wouldn’t seem quite so appealing any longer, would it? Well, research reveals with every spritz of the can you might as well be using embalming fluid to freshen your home. According to a study, you may be exposing yourself to formaldehyde with every spritz. Formaldehyde is the compound they put in embalming fluid and a known cancer-causing agent. 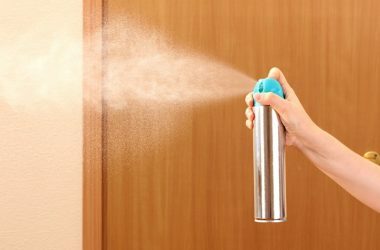 Researchers say it forms when a chemical commonly used in citrus-scented air fresheners and candles (called limonene) is released in your home. But formaldehyde is just one of the potentially dangerous chemicals you may be unknowingly releasing in your home. Take those delicious smelling candles, for example. You know the ones I mean. They can make your home smell like fields of lavender, fresh laundry or even a warm batch of cookies. But just like the citrus air fresheners, those delightful scents come at a steep price. And that’s exposure to plenty of nasty chemicals. The EPA warns that candles can release benzene, lead and other pollutants. And that chemical-filled soup can cause health problems from breathing problems to cancer. Common cleaning products contribute to the air pollution too. And our beautiful, modern homes can make the situation even worse. They build contemporary homes to be energy efficient. Which is good for the environment and our wallet. And those of us that call an older house home often make improvements such as replacement windows to shield ourselves against the elements as well. But all that efficiency makes it far easier to contaminate the air inside our homes. With fewer cracks to let fresh air in, or contaminated air out, what’s inside stays inside. So you may be paying less on your gas or electric bill. But you could also be paying for all that energy efficiency with your health. But now for the good news. You can drastically reduce the indoor air pollution in your home with a few easy tricks. Sure houseplants are attractive. But they don’t just look good; they’re good for you too. Plants naturally cleanse our air removing pollutants through their leaves and roots. Spider plants, Boston ferns and bamboo palms are all relatively easy to care for. And they’re especially effective at cleansing the air of formaldehyde. But one word of caution, if you have pets—especially cats like me—do a bit of research before bringing any new plants into your home. You need to be sure the plants aren’t toxic to Fluffy or Fido first. Replace your current chemical-laced cleaning products with “green” versions instead. Manufacturers typically make “green” cleaners without harsh chemicals and with far safer ingredients. And you can experiment with making your own safer cleaners at home too. 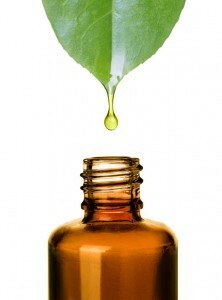 Tea tree oil, for example, makes a terrific base for a bacteria-fighting household cleaner. Try this “recipe” to make your own spray cleaner. Tea tree oil makes a terrific base for a bacteria-beating household spray cleaner. Volatile organic compounds, or VOCs, are toxins found in many common paints and finishes. Paints release VOCs into the air for years after your walls are painted. If you’re going to be painting, make sure to choose a “low VOC” paint. Just about every manufacturer makes a version these days. Toss the toxic air fresheners and ditch the scented candles. To freshen the air in your home up without the risk go natural. Start with the most old-fashioned way to clean the air, open a window. And if you’re still yearning for a fresh scent put a saucepan on the stove and bring it up to a low simmer. Drop a cinnamon stick and a few lemon, orange or apple slices into the water. As the mix simmers, it will release a bright fresh safe fragrance into the air. Just be sure to keep an eye on it and add water as needed.